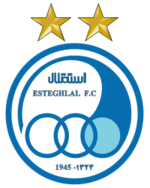 Esteghlal FC has not submitted any formation. Cesaro Rivera runs towards his opponent and wins the tackling! 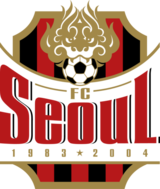 Tooor fur FC Seoul! Alfie Ramsey legt auf Cesaro Rivera ab, der nur noch einschieben muss. Cross by Shahin Ghorab... into the clouds! Alfie Ramsey passes the ball... and the ball is out. Cesaro Rivera in a tackling... and wins it! Óscar Nunez passes the ball... and the ball is out. Kamal Ghazi runs towards Ufuk Whitney... and looses the ball. Ufuk Whitney passes the ball towards the centre... but the opponent catches it. Cross by Kamal Ghazi... into the clouds! Roger Jesus shootstowards the goal... and the ball is in! Cross by Omid Ghazi... into the clouds! Hassan Gregory passes the ball... and the ball is out. Ufuk Whitney steals his opponent's ball in a tackling. Óscar Nunez passes the ball towards the centre... but the opponent catches it. Hassan Rouhani passes the ball... and the ball is out. Tae-hee Choi runs towards Hassan Rouhani... and looses the ball. Hossein Abbaszadeh passes the ball... and the ball is out. Manolo Escovado lets taken away the ball. Hassan Gregory runs towards Shahin Ghorab... and looses the ball. Cross by Abbas Panahi... into the clouds! Omid Ghazi runs towards his opponent and wins the tackling! Roger Jesus in a tackling... and wins it! Roger Jesus has the ball and sees his opponent in front of him... and looses the tackling. Abbas Panahi passes the ball towards the centre... but the opponent catches it. Roger Jesus shoots... but the goalkeeper dives to get the ball. Behrouz Aghakhan lets taken away the ball. Hossein Jabbari passes the ball towards the centre... but the opponent catches it. Tooor fur FC Seoul! Ufuk Whitney legt auf Cesaro Rivera ab, der nur noch einschieben muss. Abbas Panahi runs towards Ufuk Whitney... and looses the ball. Substitution: Roger Jesus Player ON / Player OFF Andrea Vargas. Andrea Vargas is injured and must leave the pitch. Behrouz Aghakhan hits his opponent and gets the yellow card for that. Andrea Vargas has the ball and sees his opponent in front of him... but he can win the tackling. Andrea Vargas steals his opponent's ball in a tackling. Omid Ghazi passes the ball... and the ball is out. Andrea Vargas shoots... but the goalkeeper can somehow catch it. Omid Ghazi runs towards Andrea Vargas... and looses the ball. Hassan Gregory shoots... but the goalkeeper dives to get the ball. Behrouz Aghakhan has the chance to shoot... and cannot even target the goal. Header by David Cox..... and the ball is in the net! David Cox steals his opponent's ball in a tackling.